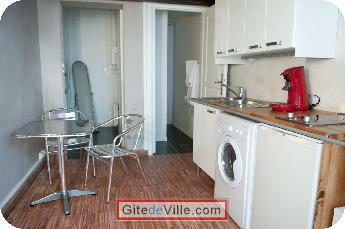 Self Catering Vacation Rental of 16 m² in Bordeaux for 2 peoples. 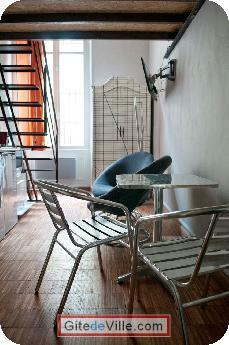 If you are alone, or a couple, the Duo apartment will suit your needs. This studio of about 14m2, with an interior balcony, let’s you spend a break in the heart of Bordeaux for work or pleasure, in a comfortable manner. The living room is pleasant as it has a large window and gives a pleasant warm light to the parquet flooring of this room. The kitchen corner is functional, equipped with a microwave-convection oven, food mixer, coffee maker and kettle and a small dish-washer. In this room, you'll enjoy the sitting area with flat screen TV. With a beautiful unique staircase to the mezzanine, you’ll sleep in a comfortable bed (single or 80X200 double 160X200). Pure cotton sateen or percale cotton sheets are provided, guaranteeing you softness and well-being. 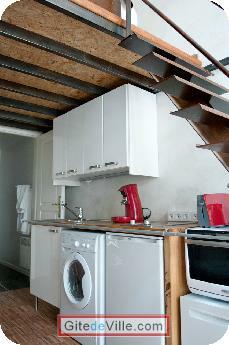 If you need to do some washing during your stay, a washer-dryer is provided. The shower room is separate from the living room and you’ll appreciate the joys of a hydro-massage shower. Quality cotton towels are also supplied. 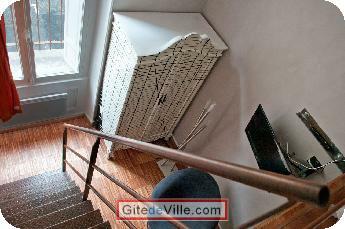 It is possible to rent this apartment for a week or for a few days.